Have you ever notice how much energy children have? Granted, they’re flinging around bodies that weigh twenty to sixty pounds while you and I weigh… never mind, let’s not go there. But my point is that kids are indefatigable or another way to put it is that some times they seem to be incapable of being fatigued.I noticed the other day after a few hours playing with my grandsons I was all tuckered out, and needed to take a nap. As I dosed off I thought to myself I would love to be able to bottle some of their energy. Just bottle it up, and take a swig whenever I was dragging. Can you just image how much money I could make if I sold their energy in a bottle? Whizzang! Just image that suddenly you’d be Superwoman if you had the energy of a child. If you were at work, your fingers would suddenly be flying on the keyboard at an amazing pace. 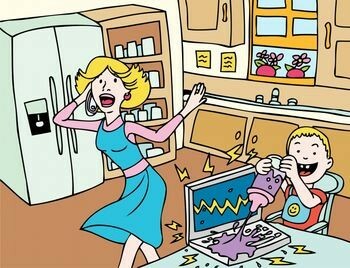 What if you had the energy of a child while doing housework? You’d have the beds made, dishes washed, socks darned, and chimney swept in the amount of time it use to take to fluff your pillow for your afternoon nap. Coworkers would gape in amazement. Friends would be amused and stare. Your husband would have to eat an energy bar just keep up with you. They’d be thrilled with your performance at work and the way your kitchen sparkled. But my guess is that sooner or later they’d question the Crayola scribbles in the hallway, the grass strains on the knees of your best pants suites, and the distracting way you’d have of jumping up and down, blowing spit bubbles or sticking your chewing gum under your desk whenever someone was trying to get your attention. So! Maybe we don’t really want all the energy of a kid. Still, maybe we can pick up a few pointers from the little people in our lives. Kids have such vitality. Such zest for life. They posses wild imaginations, boundless energy, and limitless passion. These are things I miss from my youth. I don’t know about you, but I would love to recapture some of the youthful zeal that characterized my life before grown-up responsibilities, problems, and anxieties started. What secrets do kids have to share about youthful living(at any age)? What wisdom can we glean from their zestful ways? Lets find out. A smile a minute. A study recently revealed that children, on average, laugh four hundred times a day. Wow! isn’t that awesome? The same study revealed that adults laugh about fifteen times in a day. That’s not very awesome is it? That means that our children and grandchildren are finding something to laugh about almost every other minute. You and I, on the other hand, are lucky if we chuckle once each waking hour. You think we might be onto something here? Do you want to feel younger? Laugh. 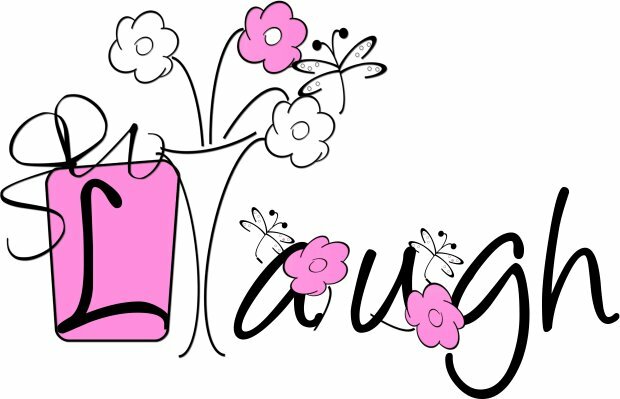 Here are a couple of ideas that might help us to be mindful to laugh more. Write down things that make you laugh. Is there a certain movie that tickles your fancy? Or a humorous writer? How about a favorite cartoonist? The other suggestion is to, at some point in your day, find a way to incorporate extra laughter into your day. I don’t know about you but, when I want more laughter in my life I read The Cat In The Hat books to my grandson’s and before I turn the first page we are laughing. I still laugh when I watch some of the old black and white cartoons that I grew up watching. Sometimes watching reruns of my favorite sit coms on T.V. will get me laughing too. The third idea is well… a little zany. But I promise you wouldn’t regret trying it. As kids, my friends and I had this game. We would start laughing for no reason. One of us would begin the game by forcing a laugh. Not a ” ha ha ha“, mind you, but a “ha ha ha ha ha ha ha…” The person who starts the game is merely saying the word “ha” over and over. It sounds artificial and impotent. Then as the laughter begins you will feel the urge to apply some stomach muscles. You wouldn’t be laughing uncontrollably but it’s a pretty good imitation. It’s starting to coming from the gut. It sounds convincing. Usually with in a few minutes things will be in full swing and before you know it your eyes will become watery, you will experience belly laughs, giggles, and even aching ribs. Before you know it you’ll be pinked-checked from giggling, guffawing, and gasping for air between round of laughter. We use to laugh ourselves into a state of genuine, uncontrolled, urgent and howling hilarity. My laughing buddies are my grandchildren if you don’t have any borrow one from a neighbor and ” ha ha ha ha ha ha” until you see stars or almost need CPR, which ever comes first.